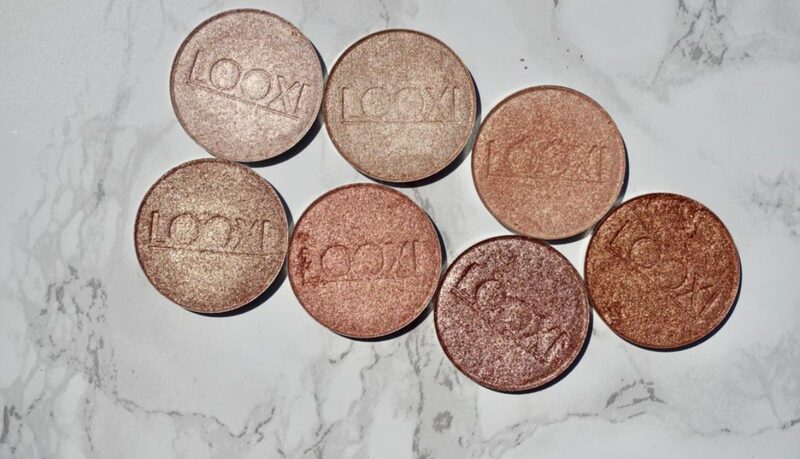 We all know I love a good blush, especially a warm toned blush. 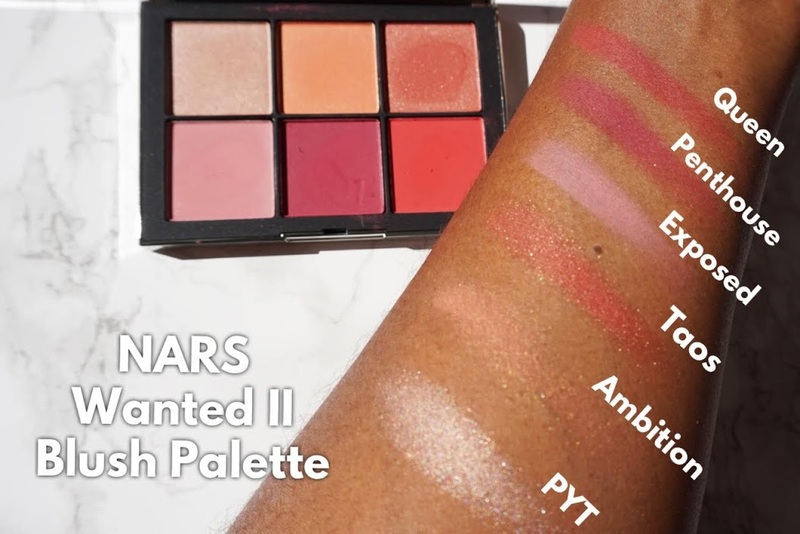 So of course when NARS dropped the Wanted II a few months ago I was all over it. 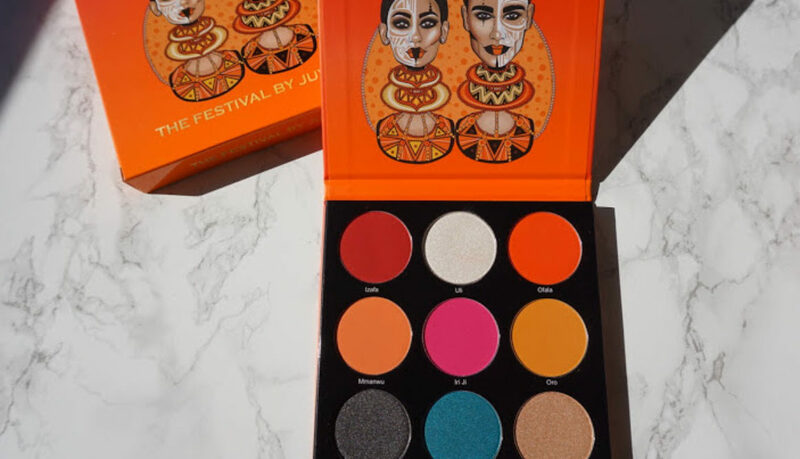 Fast Forward to about two weeks ago when I peeped the Stilazzi Barbados palette on instagram, HAD TO HAVE IT. Lost in all my excitement, I didn’t really realize how similar they were until they were both sitting in my lap. 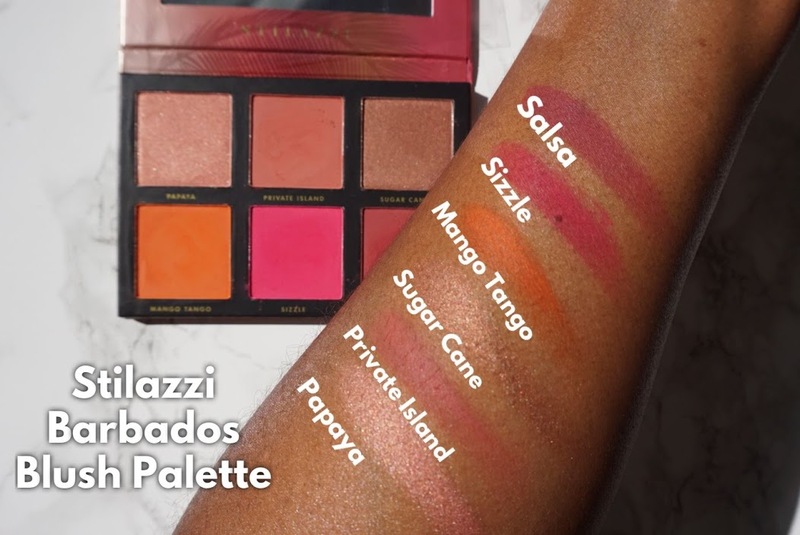 The Stilazzi Barbados palette is literally HALF the price ($29) of the NARS Wanted II palette ($59). 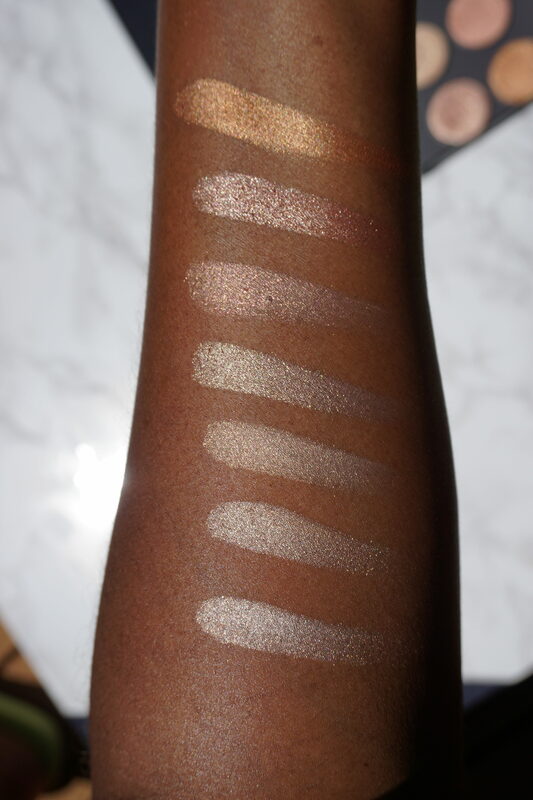 Honestly, after swatching them both I’m a little mad at myself that I bought the NARS palette. 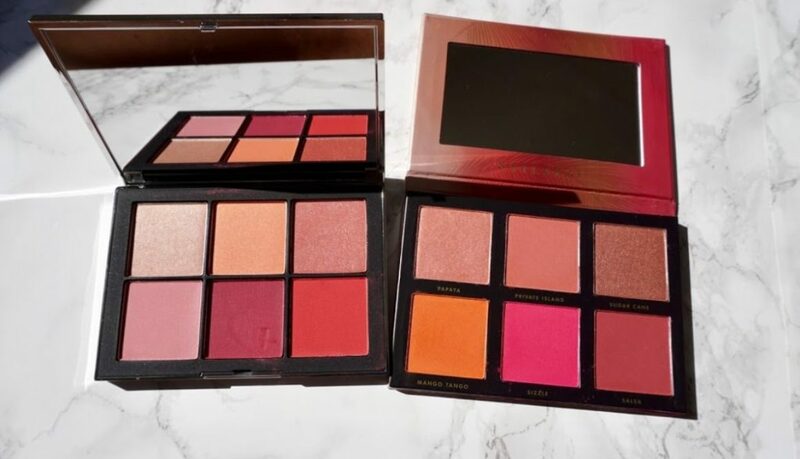 The Stilazzi palette is so rich and pigmented while the NARS is beautiful but much more subtle in it’s shades and pigmentation. Check them out below and let me know what you think! 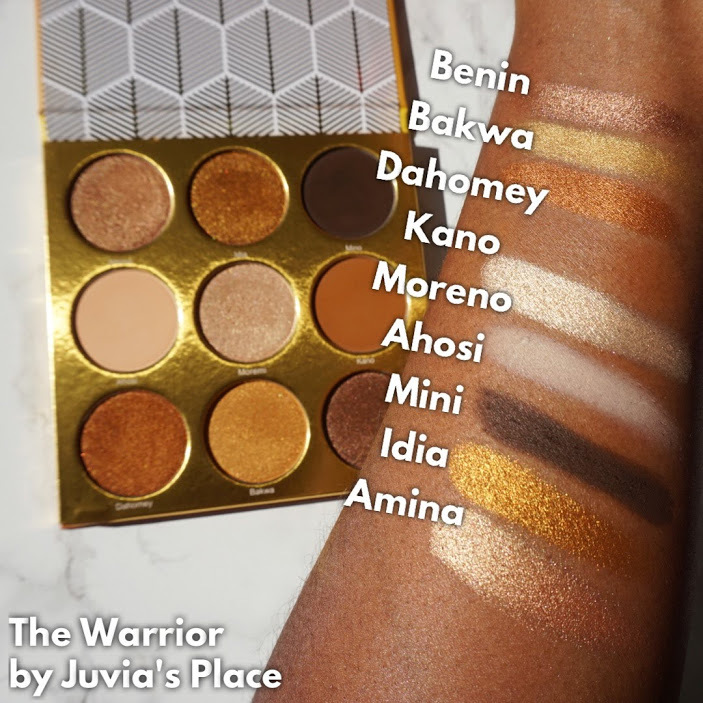 The latest release from Juvia’s Place is the Warrior Palette, which features beautiful neutrals, golds, and bronzes. 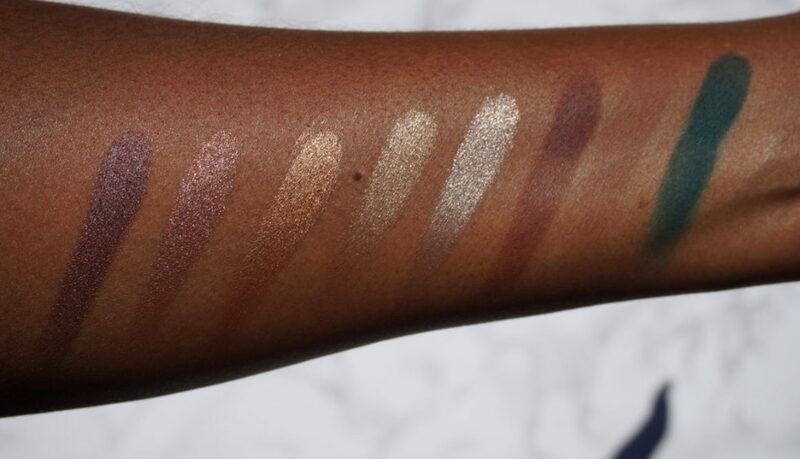 Benin, Dahomey, and Idia are SO gorgeous to me and Kano is my perfect neutral blending/crease color. 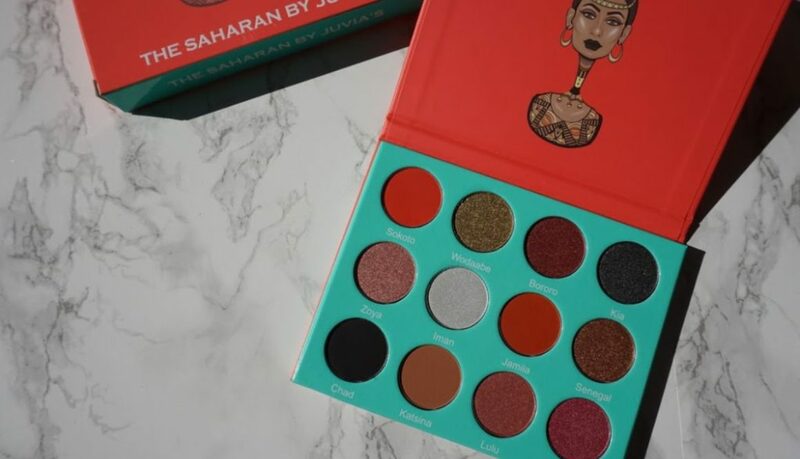 This palette has the same great quality and consistency across the shadows as all of the other Juvia’s Place palettes that I have. I’m so impressed. 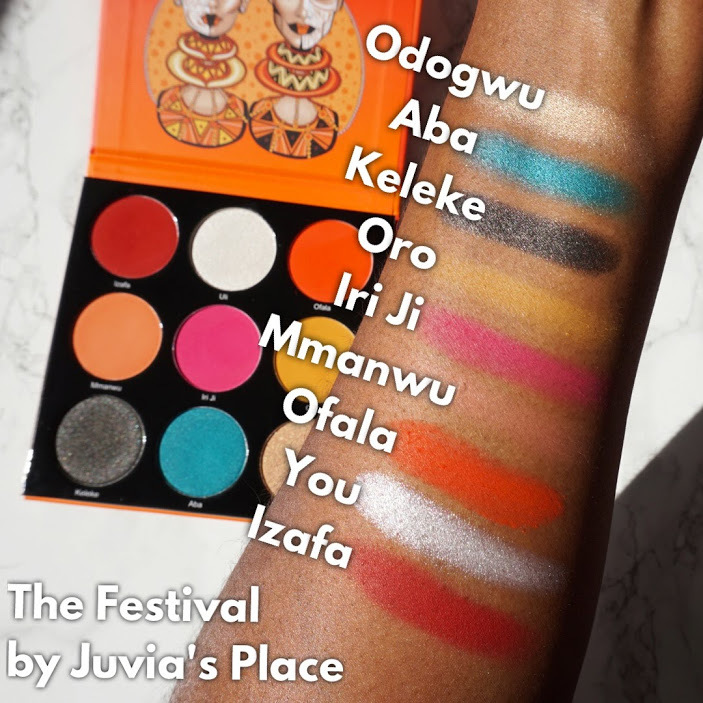 The Festival Palette is the fourth of my Juvia’s Place palettes. Of course I didn’t realize until just now the shade labeled “You” below was an autocorrect error, the real name of that shade is “Uli”. 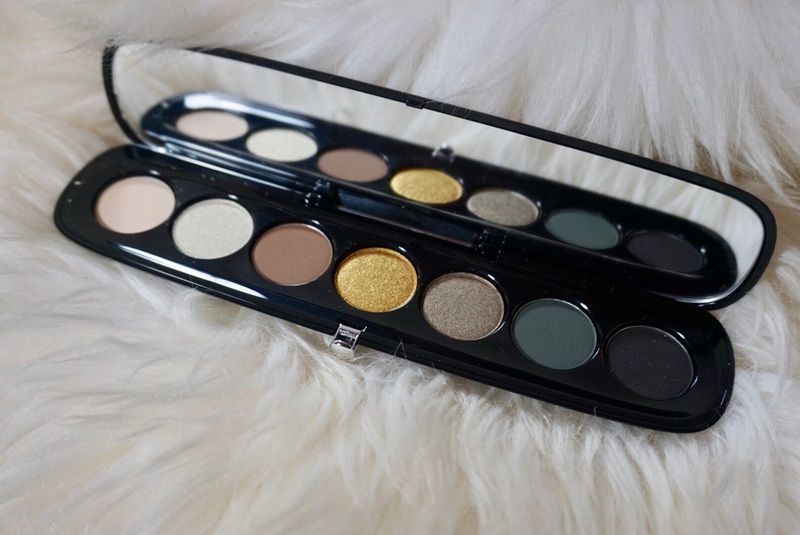 I love the warm toned matte shades of this palette but I was less impressed by the colors of the shimmers. 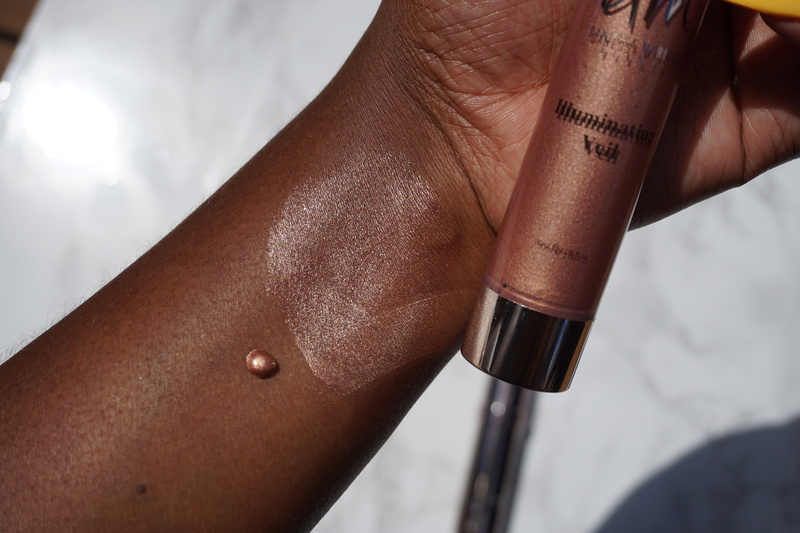 Uli is a shimmery white that’s cute but I just don’t see myself using it often. Keleke is a shimmery black that I feel the same way about. 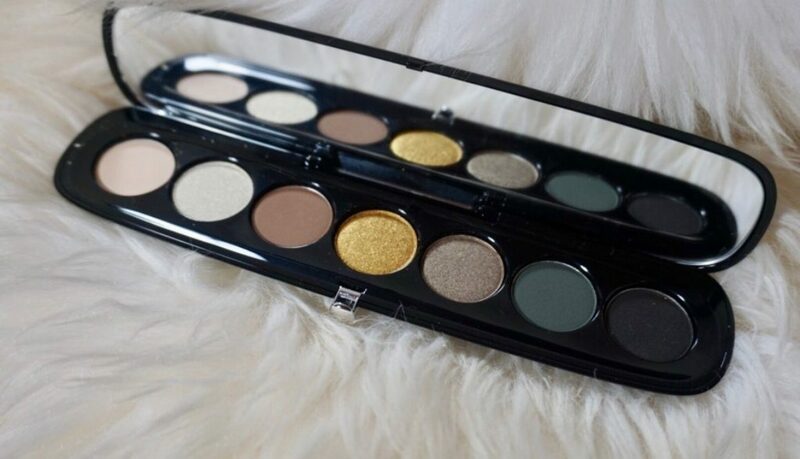 And we’re back with the third of the five palettes I got. 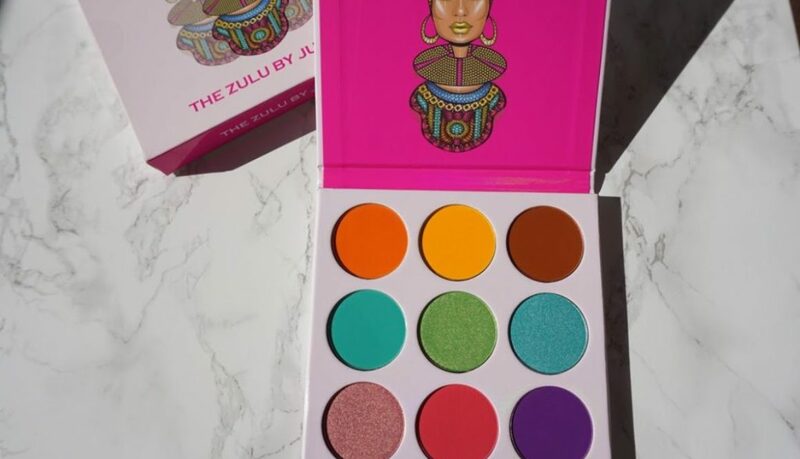 The Zulu palette is so cute and bright. 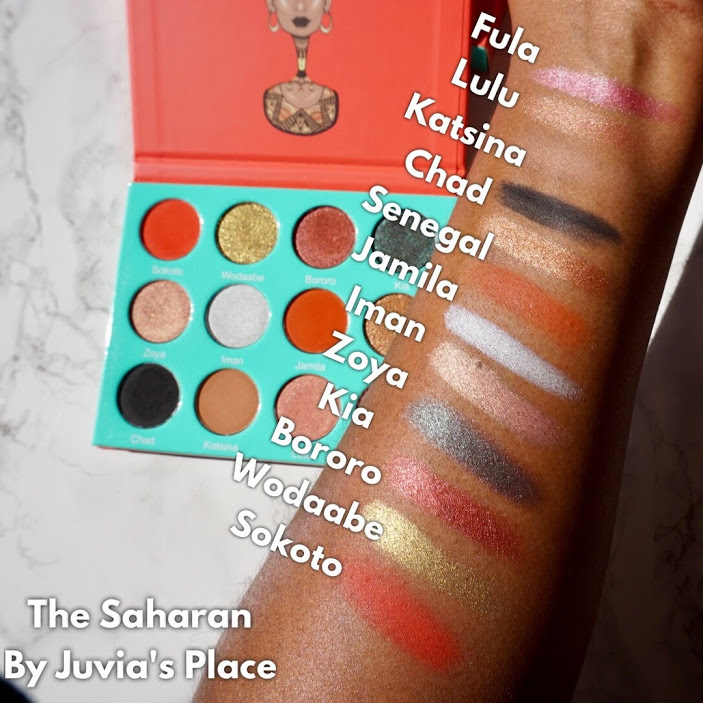 I love the look of Juvia’s Place nine pan palettes, it’s just so aesthetically pleasing for some reason. 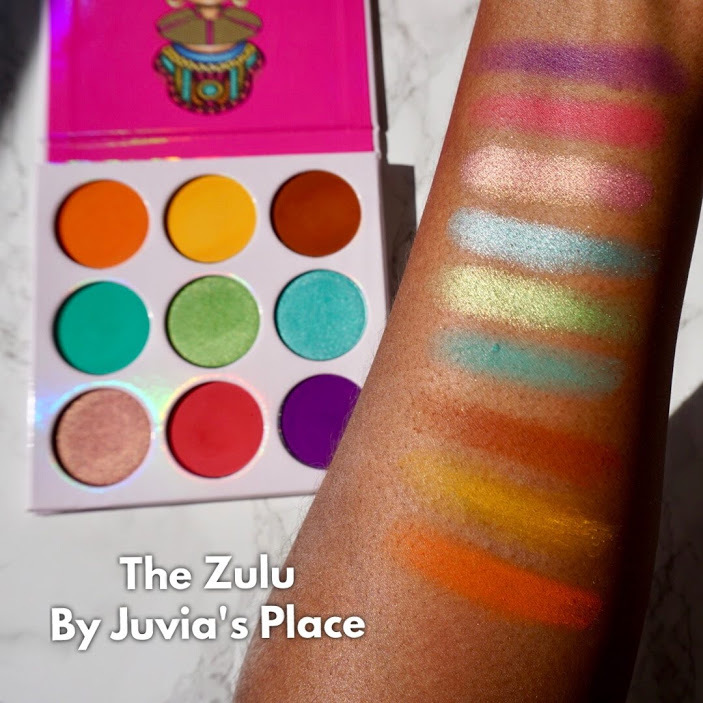 The Zulu palette does not have individual shade names for the colors listed in the pan or on the box, but it’s definitely not a deal breaker for me. 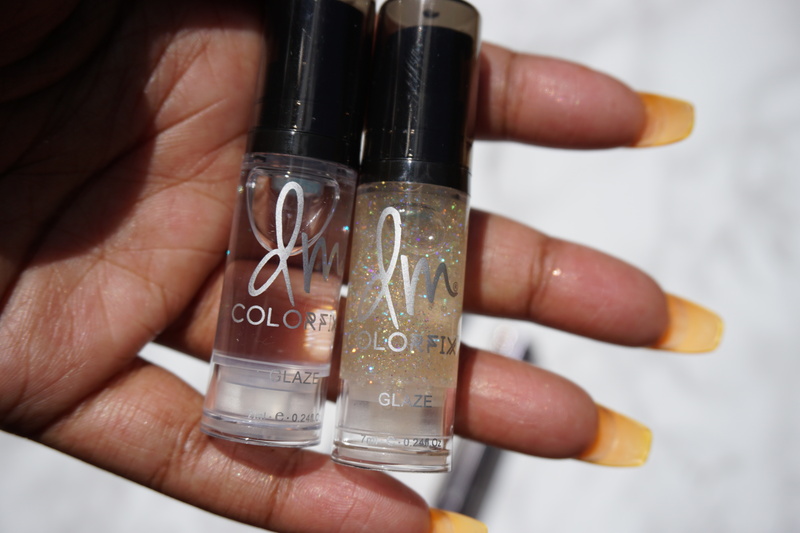 The matte mint and purple were a little patchy for me but they still had decent pigmentation and were able to be built up when swatching. 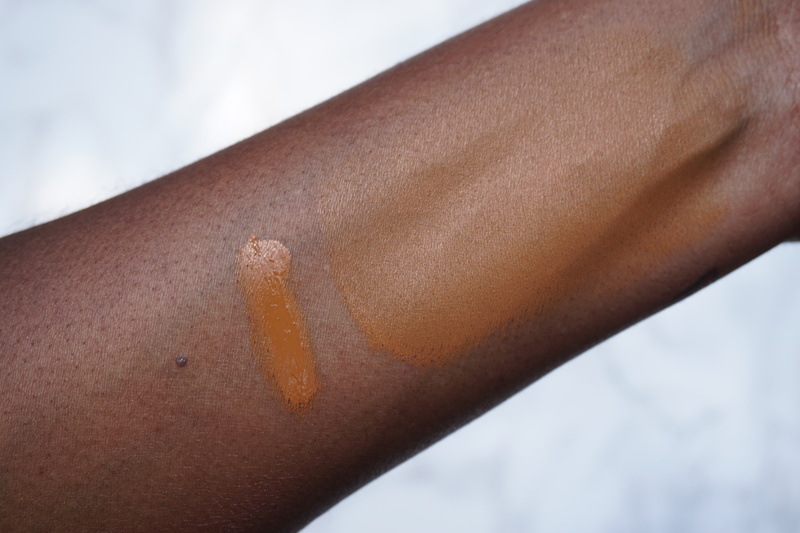 I’ll definitely be using a tacky shadow primer with those ones on the eyes. 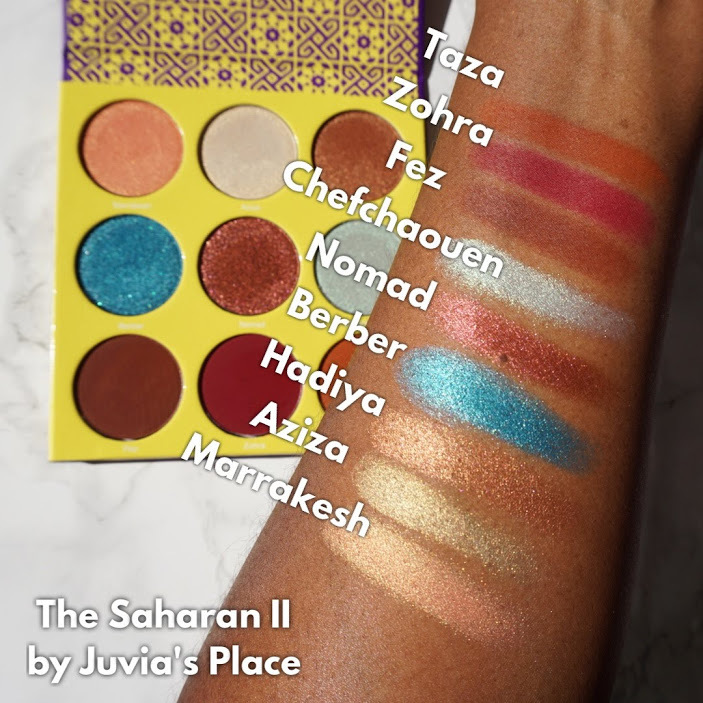 The second of the Juvia’s Place palette’s that I hauled, The Saharan II. 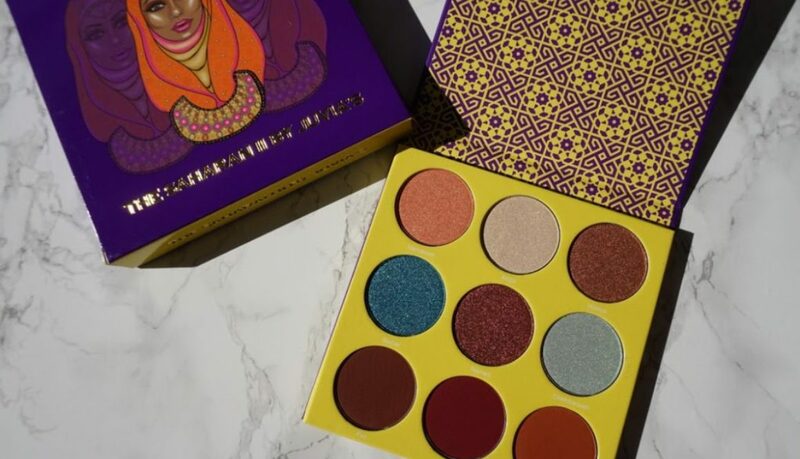 I love the shimmers and the Moroccan theme in this one! 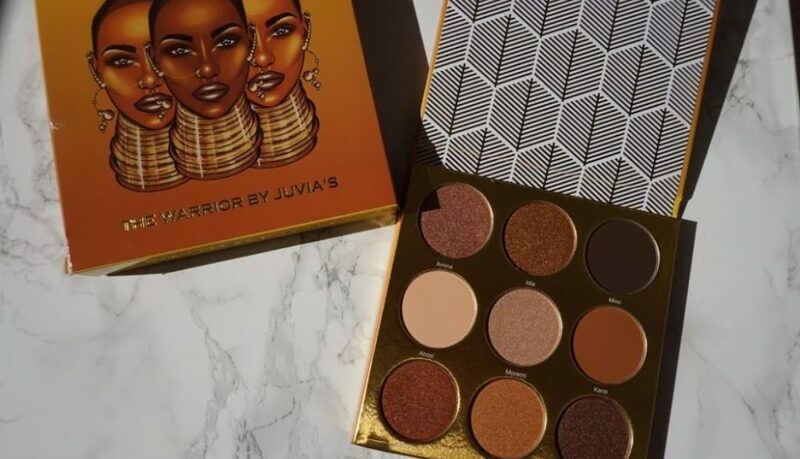 About a month ago I made an order from Juvia’s Place for the first time during one of their 30% off sales. I know I’m late AF to the party but I’m HERE now! I haven’t used these to create any eye looks yet but from the feel of the swatches I know these palettes are all going to be amazing. 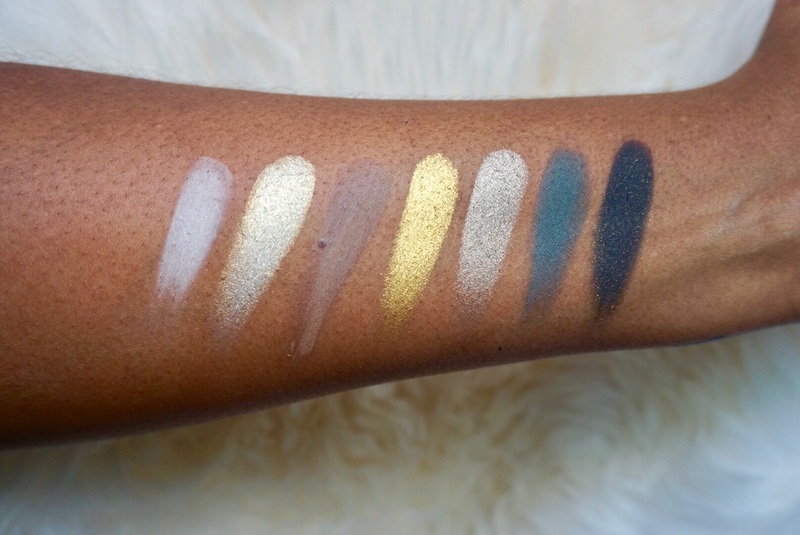 Stay tuned for swatches of the other 4 more Juvia’s Place palettes I bought. 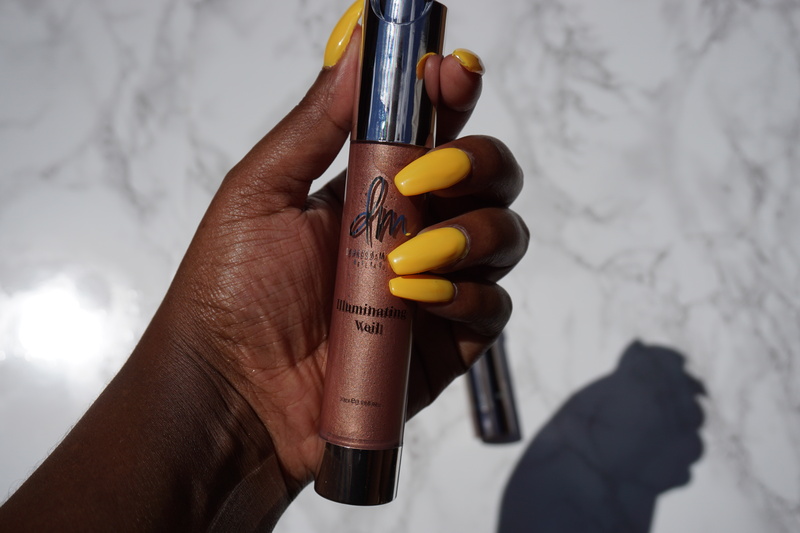 I picked up quite a few items from Danessa Myricks Beauty at The Makeup Show over the summer. 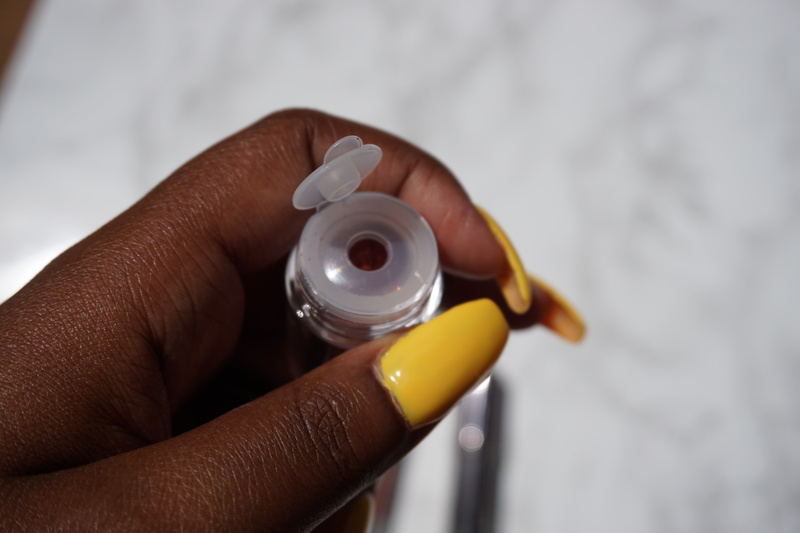 I’m a terrible blogger so I’m just now getting around to sharing them with you >.<. Keep reading to see what I got! 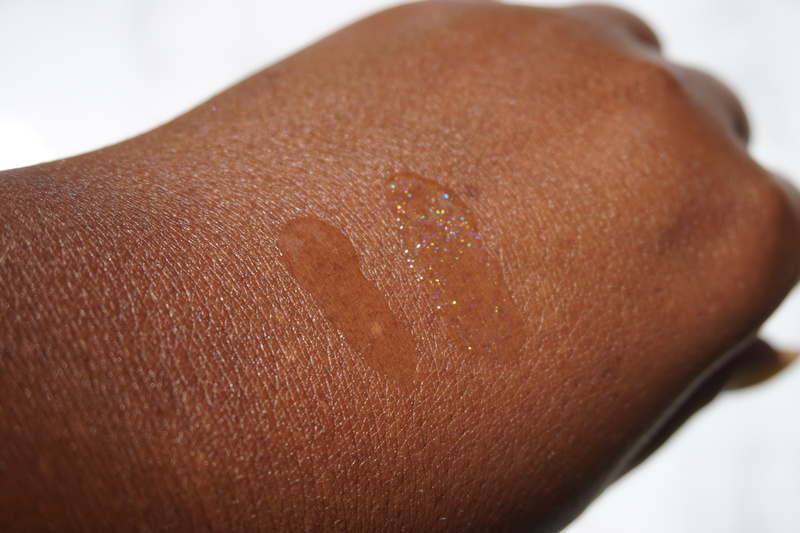 This stuff is SO pigmented! 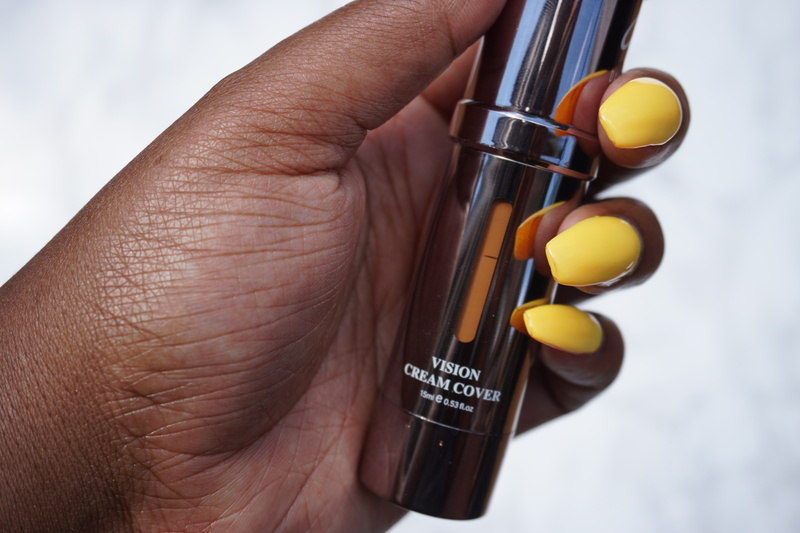 You need just the tiniest drop to cover your full face. 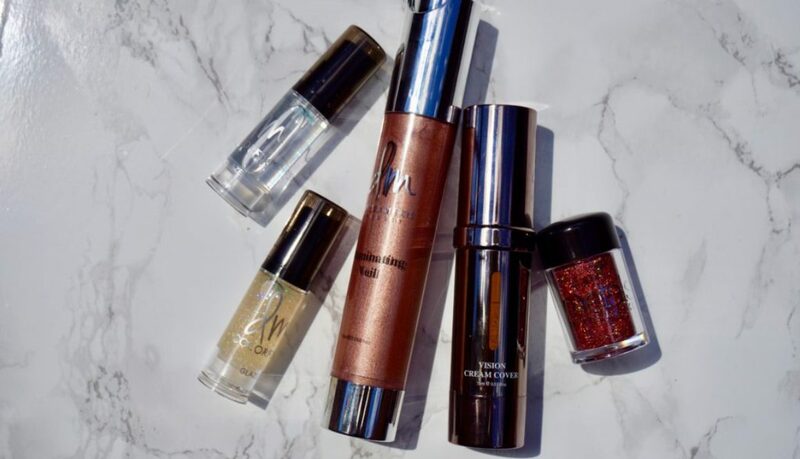 I like to sheer it out by mixing with a moisturizer or a primer because it’s very easy to go overboard and WAY too full coverage.